In this Sept. 19, 2017 file photo, President Donald Trump's personal attorney Michael Cohen appears in front of members of the media after a closed door meeting with the Senate Intelligence Committee on Capitol Hill, in Washington. Federal agents carrying court-authorized search warrants have seized documents from Cohen according to a statement from Cohen’s attorney, Stephen Ryan. He says that the search warrants were executed by the office of the U.S. Attorney for Southern District of New York but they are “in part” related to special counsel Robert Mueller’s investigation. FBI agents on Monday raided the Manhattan office of President Donald Trump’s private lawyer, Michael Cohen, seizing records about Cohen’s clients, including those related to a 2016 payment he made to adult-film star Stormy Daniels, who claims to have had a sexual encounter with Trump. Among the documents seized were privileged communications between Cohen and his clients – including those with Trump, according to a person familiar with the investigators’ work. 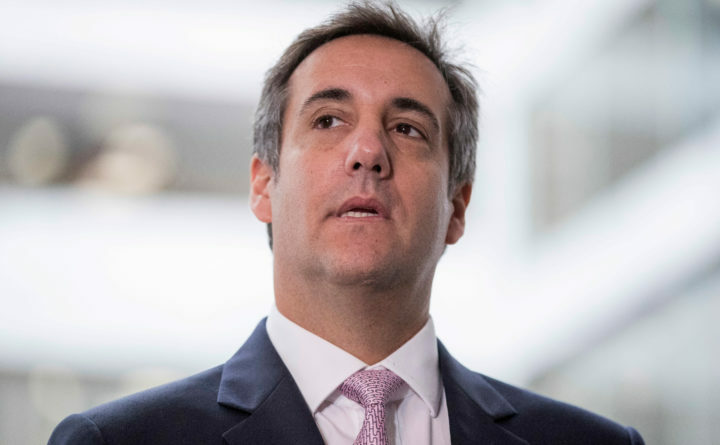 Investigators took Cohen’s computer, phone and personal financial records as part of the search of his office at Rockefeller Center, the person said. The raid is related to an investigation referred by the special counsel Robert Mueller to federal prosecutors in New York, according to Stephen Ryan, an attorney for Cohen. Among the records seized by investigators were “protected attorney client communications,” according to Ryan. Dawn Dearden, spokeswoman for the U.S. Attorney’s office for the Southern District of New York, declined to comment. Peter Carr, a spokesman for the special counsel’s office, declined to comment. A White House spokesman declined to comment. Squire Patton Boggs, the law firm that formed a strategic alliance with Cohen last year, said in a statement Monday that its “arrangement with Mr. Cohen reached its conclusion, mutually and in accordance with the terms of the agreement. Under Department of Justice regulations governing the special counsel’s work, Mueller is required to consult with Deputy Attorney General Rod Rosenstein if his team finds information worth investigating that does not fall under his mandate. Cohen’s aggressive tactics came into public view when he acknowledged he facilitated a $130,000 payment in October 2016 to Daniels, who claims she had a sexual relationship with Trump in 2006. The Washington Post’s Josh Dawsey and Rosalind S. Helderman contributed to this report.